Access for black students has been in the news again – but will things change? In February 2003, Varsity splashed its front page with an investigation revealing the “black hole” in Cambridge’s undergraduate admissions. The paper reported that 25 black students had been accepted the year before, and just 12 in the two years before that. Beneath the headline ‘Colourblind?’ it reported that the access situation was “so dire” that Cambridge had accepted more students with the surname ‘White’ than black undergraduates. Over a decade and a half later, the capacity for the University’s access statistics to shock remain as present as ever: last year, Varsity reported that 2016 had seen more black men accepted than Etonians for the first time ever – in this year’s stats, that was narrowly maintained. The acceptances rate for black, Bangladeshi and Pakistani students have remained consistently lower than average, something which the University has historically pinned on an intersection of issues, including the type of course applied to. Twice this year alone, the University, along with Oxford, has received criticism for its intake of black students. 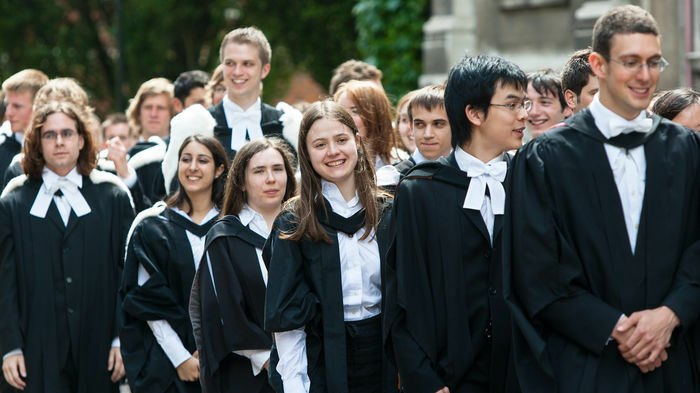 The first was in October, when Labour MP David Lammy blasted Oxbridge colleges as “fiefdoms of entrenched privilege”, and revealed that on average a quarter of Cambridge colleges made no offers to black British applicants from 2010 to 2015. The second came just weeks ago, as a Financial Times report highlighted low intake numbers based on figures from 2011–2016, focusing particularly on low intake at St Edmund’s College and Hughes Hall. The University fired back strongly, with the president of Hughes Hall, Dr Anthony Freeling, and Master of St Edmund’s, Matthew Bullock, accusing the FT of employing “misleading interpretations” by ignoring the tiny size of both colleges’ undergraduate cohorts. The FT piece was amended, but most of its findings were maintained, and the figures it reported were widely picked up in other media outlets. For a casual consumer of news, the message remained clear: black students, at Cambridge, remain an anomaly. The kickback was strong enough this time, however, that the University released its own formal response, criticising the press coverage, which they said “undermines the progress made in access and the value of a Cambridge education”. A week later, the University released a photo – organised in conjunction with the African-Caribbean Society (ACS) – showing the black women of Cambridge: over 50 black, female students stood on the steps in front of Senate House. The photoshoot, held to celebrate 70 years since the admission of the first black woman admitted into Cambridge, Gloria Claire Carpenter, echoed ACS’s viral photographs of 15 black male students last year. Taken together, these incidents encapsulate the ongoing media narrative surrounding the admission of black students – caught between damning statistics, and public displays of diversity. Dr Sam Lucy, director of admissions for the colleges, said that part of the problem was how low cohort numbers are presented. Part of the issue with David Lammy’s criticism of individual colleges is that, without significantly more data than is currently released, low application numbers mean that for some colleges not to have accepted any black students is statistically likely – it has only been for roughly the past decade that Cambridge has accepted more black undergraduate students than there are colleges, something the University has been keen to suggest means the fault doesn’t lie at a college level. “I don’t think there is much incentive for much of the press to present our systems in a necessarily fair way,” Lucy said, adding “there’s not much we can do about that”. She said that admissions tutors would be “furious” at Lammy’s suggestion that colleges remained bastions of the “old school tie”, and that she felt admissions tutors were all working towards the same goals. She said she was “increasingly confident” that college choice is becoming less of a factor in applicants’ chances of success. Criticism of colleges often results in calls for increased centralisation of the admissions process, which have come from both Lammy and CUSU, via its current access and funding officer, Olivia Hylton-Pennant. There have been murmurings within the University that it might set specific overall targets for access from underrepresented ethnic groups, though these have not yet materialised into anything concrete. For Hylton-Pennant, who is approaching the end of her tenure as a sabbatical officer, increased centralisation is the answer. “Bad PR should not be the driving force behind University commitments to widening participation,” she said, adding “yet this too often feels the case” – highlighting the case of Abdullah Kattineh, a Syrian who was offered a full scholarship after hundreds of people signed an open letter supporting him. In a new report, she has called for Cambridge to introduce a central outreach initiative to boost ethnic minority access. Dr Nicholas Guyatt, a reader in History based at Trinity Hall, reflected on his experience as an academic with issues surrounding representation require tackling at all levels of the University. Echoing Hylton-Pennant’s suggestions, Guyatt said: “I think the University ought to have specialised outreach workers for particular racial/ethnic groups,” adding “I would be amazed if we couldn’t raise money for these posts from alumni who are desperate to see us solve these problems”.